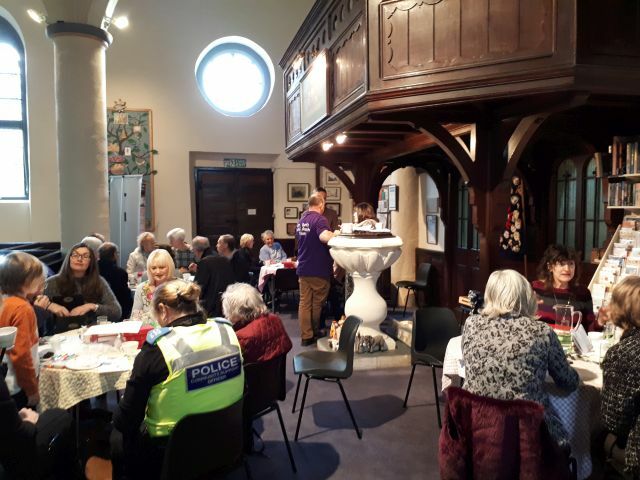 Cafe Church – 13th January 2019. The service today was centred around the need to clear out clutter at the beginning of a new year and we were encouraged to imagine ourselves a glass and to fill it with liquid to represent our personal clutter, leaving a gap at the top to represent the space we leave for God. Afterwards, we threw the clutter out, or in this case, the liquid into a bucket, which was then thrown out. We heard some wise words, one being a saying from Judy’s mother, who quoted Pastor Joseph Brotherton. He said, “My riches consist not in the extreme of my possessions, but in the fewness of my wants”. We were reminded of Jesus’ parables and how he urged us to pray persistently. 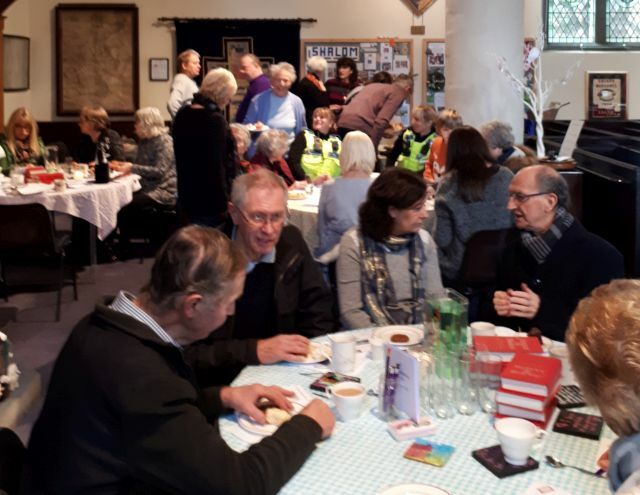 We were blessed with a good congregation and pleased to welcome some who had been unable to visit for a while.